What are falafel? 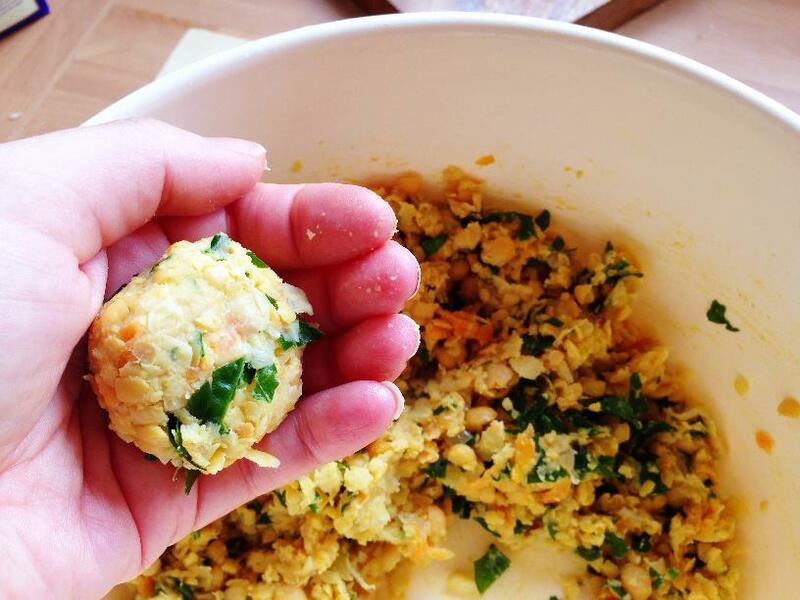 Falafel are like little burger balls, but they are made from chickpeas instead of meat. They taste really yummy when you stuff them inside pita breads, or when served as part of a main meal. 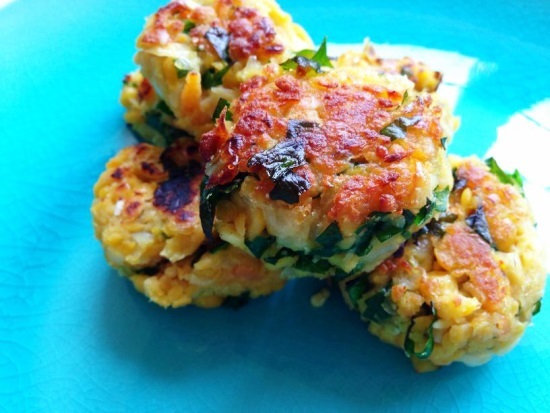 Our version is super easy, with added sweet veggies to make them healthier and more appealing to kids. The traditional type of falafel are deep fried, but we shallow fry ours to boost their healthy properties and to make it safer for kids to cook. 1. 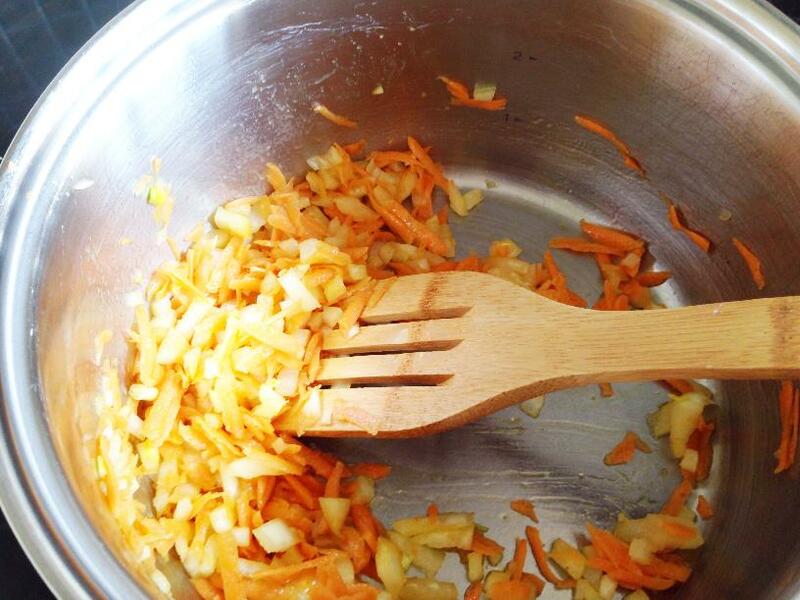 Get your grown-up to chop up an onion finely, while you peel and grate a carrot. Chuck them both in a pan with the ground cumin and oil, and fry until soft. 2. 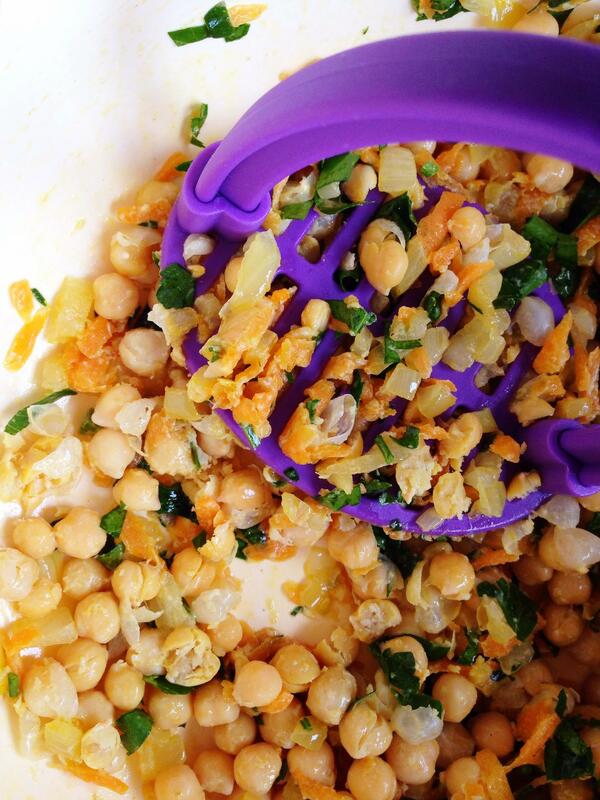 Drain your chickpeas using a colander, and put them in a large bowl with the onion and carrot. Add the flour, and mash it all up with a potato masher. 3. Snip your herbs into the bowl, making sure none of your pieces are too big. Stir them in. 4. Take a golf ball size of mix in your hand, and roll it into a ball, pressing it down a little before you put it on a plate ready to fry. TIP: If the mix won’t stick together than add 1-2 tbsp of water. 5. Heat up some oil in a frying pan, and cook each falafel for about 5 mins on each side until they are golden. 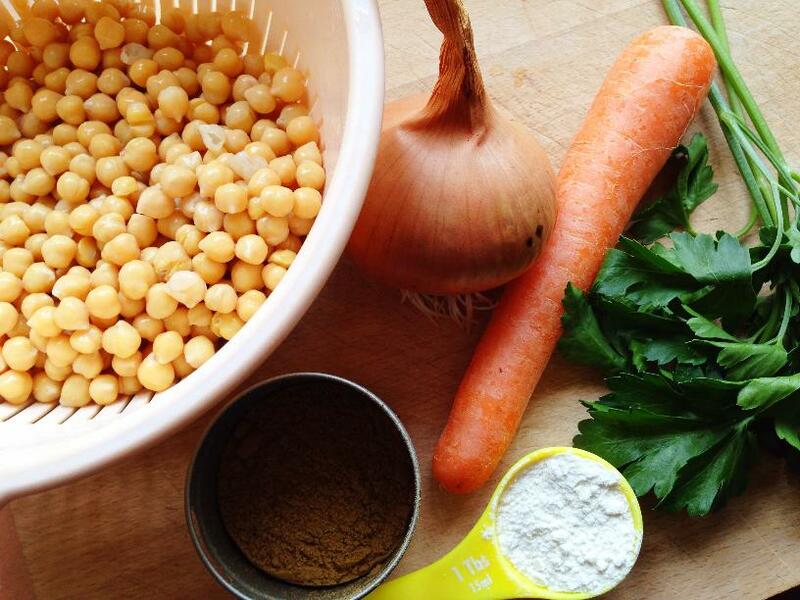 And that’s the easiest way to make falafel that I know–it’s a cheap food to make too. Try serving it in a pita bread or on top of a flatbread that you can roll. Add some yoghurt and cucumber, or a splodge of tahini paste, to make it authentic tasting. TRY THIS: Make the falafels bigger, more like burgers, and enjoy them in a roll, just like a hamburger. Where Does Falafel Come From? It’s never easy to find out where a certain food is from or who invented it, but that is especially true for the fabulous falafel. 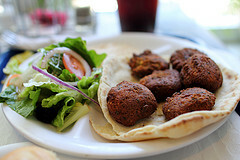 Although falafel is known as being the national dish of Israel, there is some thought that it may have been stolen! Many fights have broken out between the people of Israel and the people of Palestine, who both insist that the falafel is theirs–or that at the very least, the falafel does not belong only to the people of Israel. One thing is for sure though, falafel is definitely a Middle Eastern food, and originated in Egypt. Nowadays though, you’ll find falafel are enjoyed worldwide. Image credits – thanks to MrTinDC for the falafel and flatbread picture. This image is released under a creative commons license.